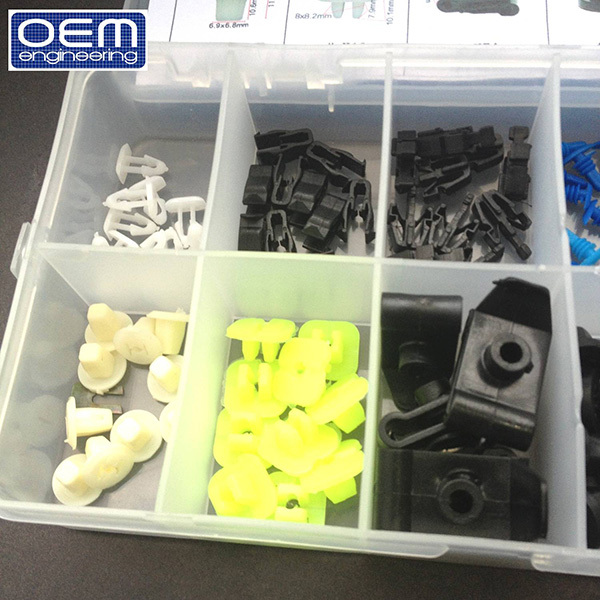 We've put together a set of the much asked for clips and fasteners as requested by you, our customers. 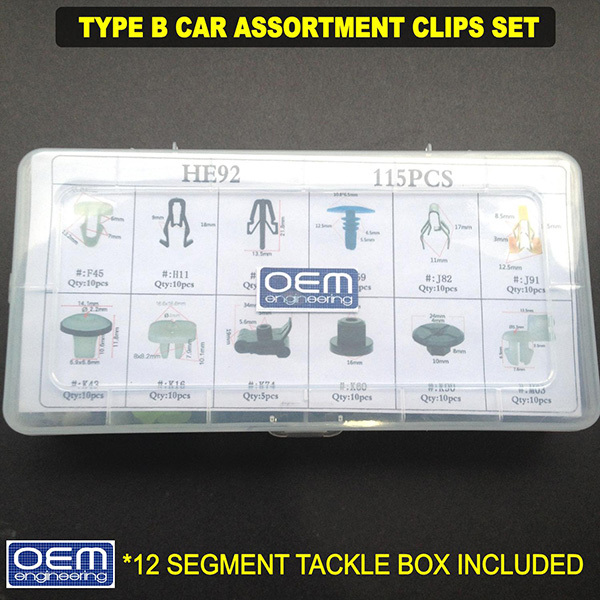 This 115 piece set includes many of the easily damaged and harder to find clips for auto shops, jobbers and customizers, to help make your work easier and less stressful. 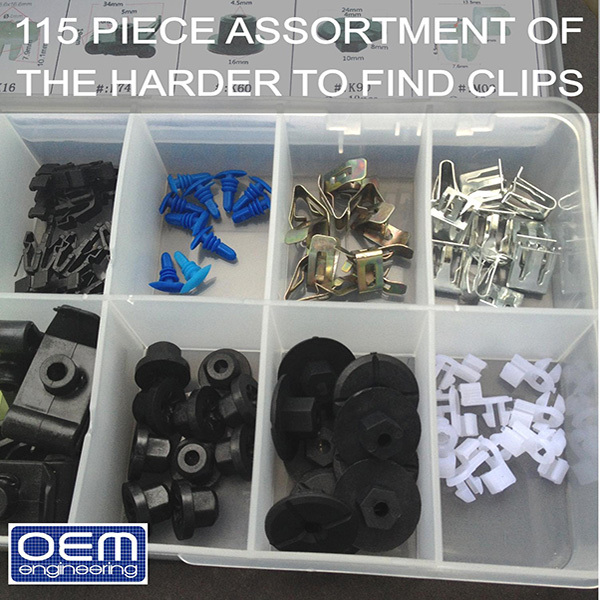 Broken clips and fasteners aren't always an installer's fault. Sometimes they do get brittle and damage is unavoidable. 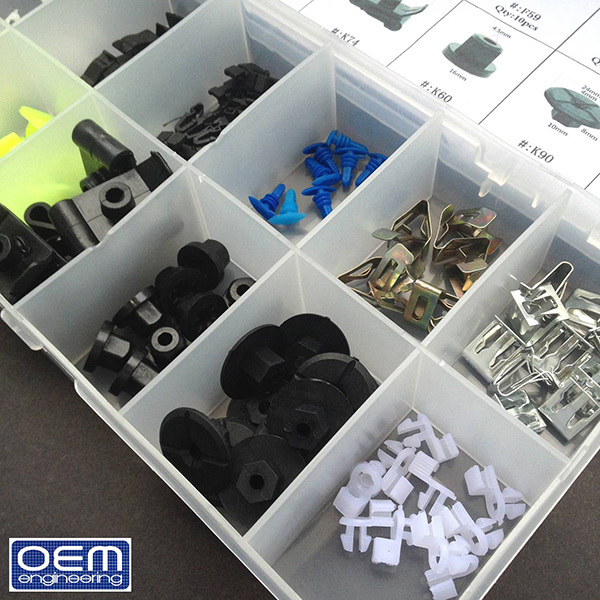 What matters most is having the necessary replacement parts handy to deal with the situation swiftly and professionally. Your clients may not always appreciate your redneck solution. Veteran installers know these clips well ! 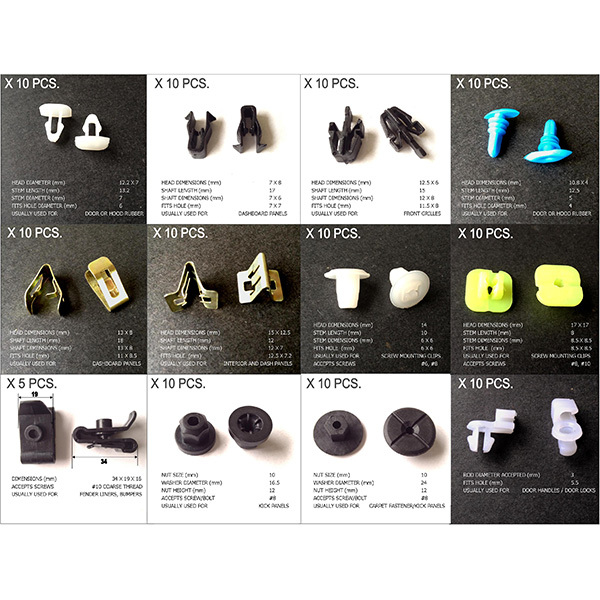 Please refer to the pictures for the breakdown, description, measurements and quantities of each clip included in the set. *I do not know if it will fit your specific car, or particular car panel, so please do not ask, just kindly measure. *Please check images for clip dimensions and fitment. 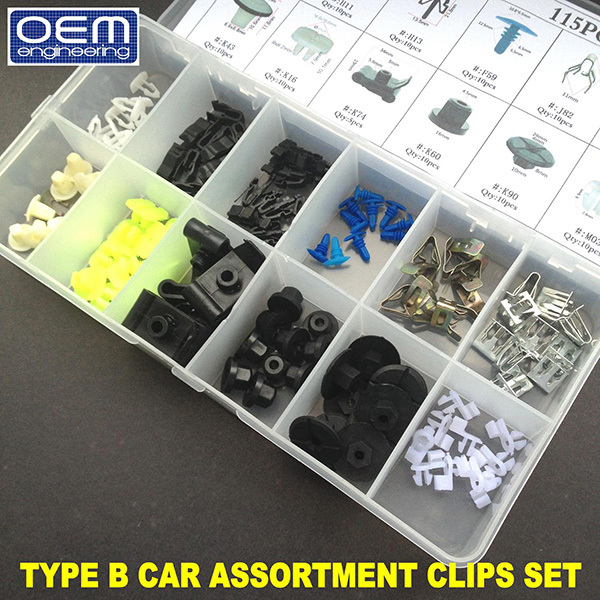 Most of these clips fit other makes and models of vehicles, so please measure. *Sold as a set only, no tingi. PhP1,000/ set of 115 assorted pcs.